This list was submitted on the r/d100 subreddit by user GM_Ben! Thank you! A phobia is an irrational, intense, persistent fear of certain situations, activities, things, or persons. A phobia can be classified as a disability in that it can affect a person’s psychological being and ability to perform certain tasks. I created this list to help generate role-play flaws for my PC’s after they became involved in a dark Yuan-Ti ritual to summon the evil nightmare primordial Dendar, the Night Serpent and ended up spending time being tormented on the plane of Nightmares before escaping. The players made a WIS saving throw at the end of the encounter and that determined the number of fears/phobias they manifested. Nat 1 = 5 rolls. 20 or higher = resisted effect, no rolls. 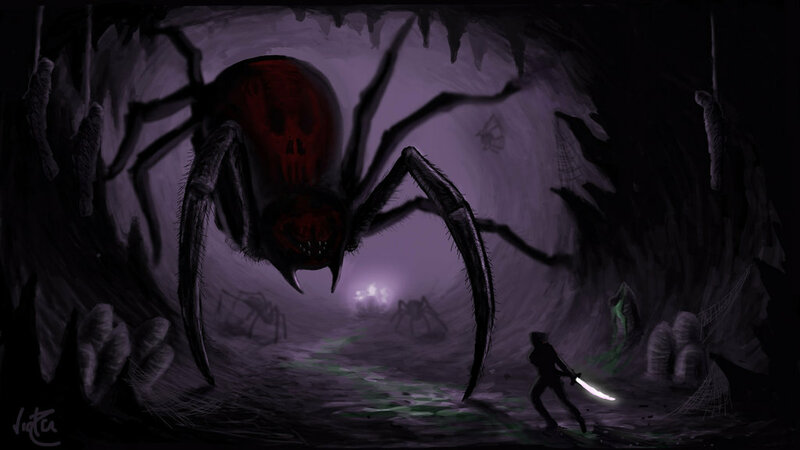 Mechanically, the DM can impose the frightened condition on a player that experiences a situation involving their phobia or encounters the creature/person/object of their fear. Narratively, the DM can help the fears/phobias come to life by describing how the character physically/psychologically reacts when it occurs. Some of the common real life symptoms associated with phobias: strong feelings of panic, dread, terror, and horror, rapid heartbeat, shortness of breath, trembling, breathlessness, excessive sweating, nausea, dry mouth, feeling sick, shaking, heart palpitations, inability to speak or think clearly or sensation of detachment from reality and death and an overwhelming urge to flee the situation and going to great lengths to avoid the situation/object that causes fear. This table could also be used to help players generate unique FLAWS on their next characters, to assist a DM in creating more interesting NPC’S, or as an expanded table for varying degrees of MADNESS or consequences or SANITY loss. I hope you have as much fun with this as we did at my table. Thanks and enjoy! Herpetophobia – reptiles, amphibians or other similar animals.